It's a good day to be a Samsung fan: they've delivered right on schedule. The flagship Galaxy Note 3 is available on Verizon starting today at the standard $299.99 subsidized price tag, $699.99 (ouch) unsubsidized, or $29.31 a month on the Edge plan. If you prefer your notation experience both larger and without a two-year contract, the Galaxy Note 10.1 2014 Edition (WiFi only) is also going on sale at the usual retail locations, starting at $549.99 for the 16GB model. Say what you will about the Galaxy Note 3's ostentatious presentation, but you can't deny that it's a monster chunk of hardware. That 5.7-inch AMOLED screen is a full 1080p, and Samsung has refined both the S-Pen and its accompanying software. Underneath you'll find a Snapdragon 800 2.3Ghz quad-core processor (as opposed to the Exynos on non-LTE Samsung hardware), a full 3GB of RAM, 32GB of storage plus an open MIcroSD card slot, and a 13MP rear camera. The relatively large size of the phone also lets Samsung cram in a massive 3200mAh battery. Verizon offered pre-order bundles with the Galaxy Gear smartwatch, but now that the Note 3 is officially launched, it looks like they're only offering it in separate retail packaging. No big loss - the bundle didn't offer any savings on the $300 retail price. The Note 10.1 2014 Edition is, in most ways, a blown-up version of the Note 3. The WiFi tablet swaps out an Exynos 5420 processor, the screen is a 10.1-inch 2560x1600 LCD, and the rear camera is downgraded to 8MP, but in other matters of hardware and software, it's very similar (including those stupid physical navigation buttons). The $549.99 base model's storage is downsized to 16GB, but a 32GB model goes for $599.99. That makes the Note 10.1 2014 one of the most expensive Android tablets around. Both Best Buy and Amazon are offering the white or black model, though Amazon's black is strangely delayed until October 12th. You can expect most US retailers to follow suit today. Still on the fence? 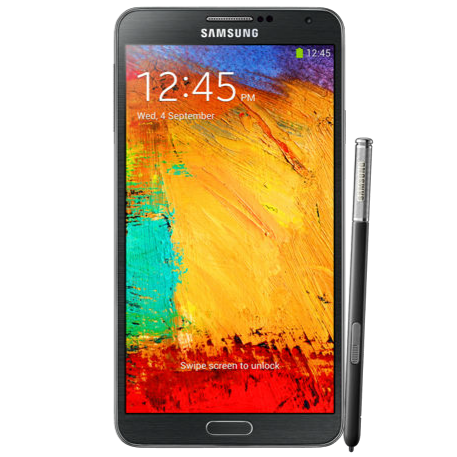 Check out our exhaustive reviews of the Galaxy Note 3 and Galaxy Note 10.1 2014. Update: The "verizon30" promo code still works on Verizon's website. 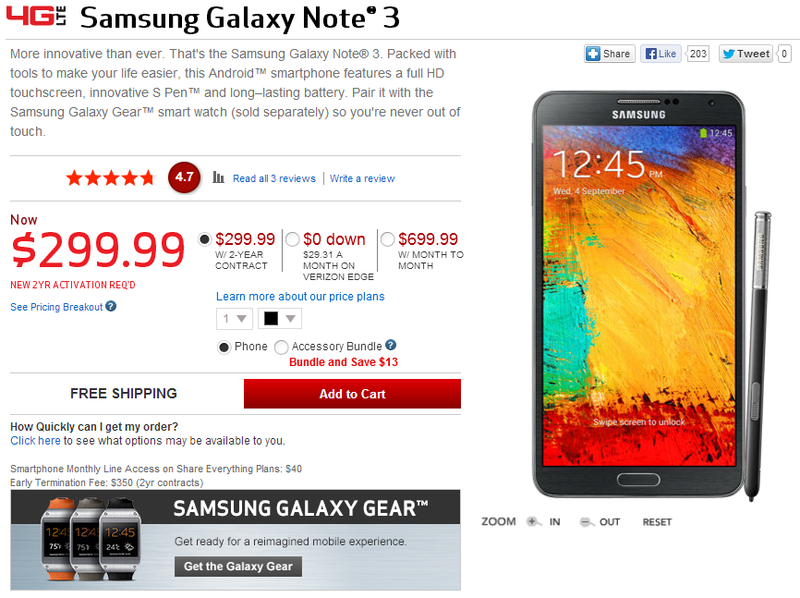 Apply it at checkout for a 30% discount on the cost of the Note 3, a nice $90 savings.